"Truly a gem for beginning and experienced genealogists." 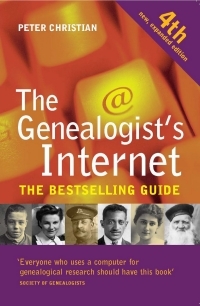 "If you use a computer, I highly recommend this useful book as a valuable tool for your British Isles genealogy research." "The most comprehensive guide to online resources on the market"
"An essential reference work for all researchers using the web"
"The definitive guide to serious internet use for the genealogist"
"It covers all the internet-related family history topics you could think of"
"An excellent book for anyone using a computer to research ancestry from the British Isles"
"For researchers of British genealogy with Internet access this book is a must"
Richard Ratcliffe, Family History News & Digest April 2006.